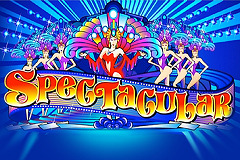 Spectacular is a 3-reel, single paylinepokie from Microgaming that’s themed around a glitzy Vegas-style show. With a main image of dancers dressed in striking outfits complete with elaborate headdresses and surrounded by stage lights, it certainly lives up to the nameinnterms of visuals at least, although the gameplay may not impress those players looking for lots of side games and bonus rounds. It’s laid out in much the same way as manyMicrogaiming 3-reelers, with the design and theme being the only things to differentiate it from lots of others, but it’s an impressive style that will be sure to attract fans of stage shows like this. It will also attract fans of winning money, as it’s got an impressive jackpot of 5000 coins, while wild substitutions with multipliers should add even more cash to their bankrolls. The fancy image of dancers, along with the game title, are found below the 3 reels on the left side of the screen, while there’s information about what combinations of symbols will equal what rewards on the right, topped off with some details about how wild substitutions and multipliers work. Below it all is the control panel where players adjust coin values from 0.25 to 0.50, 1.00, 2.00 or 5.00, while they can choose to play with 1 or 2 coins for a maximum stake of 10.00 per spin, which is pretty low for this type of game and could put off a large number of potential punters. The jackpot is at a higher ratio to the bet size when playing with 2 coins, so players should perhaps consider activating both if it’s within their budgets, and adjusting up from a minimum of 0.50 per spin if needed. A look at the paytable reveals what they can win, but the first thing to note is that it’s divided into 2 columns and the column that’s highlighted depends on how many coins are in play. Don’t panic, as the ratio of bet amount to win amount is the same, with the exception of the jackpot. 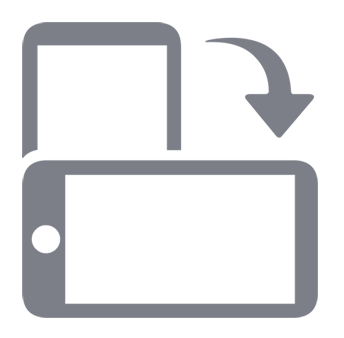 While most pokies have a cherry symbol as the bottom of their paytable, this one replaces it with a ticket to the show and a single ticket landing on the payline will reward players with a win equal to 2x their stake, while 2 tickets results in a 3x prize. Single, double and triple Bar symbols are traditional in this sort of game, and they make an appearance here, with any mix of them landing across all 3 reels on the line being worth 5x the amount bet per spin, and then it’s back to the tickets, with a full line of 3 being valued at 10x. If the single Bar comes to rest right across the line, players receive 15x their bet back, with the doubles worth 30x and the triple Bar worth 50x. A blue 7 surrounded by lights makes up the highest value standard symbol, with 100x the bet being returned to players who land a full row of them across the line, but the star of this particular show is the game logo that acts as a wild symbol and is also responsible for paying out the jackpots. When a single logo symbol and 2 other matching symbols land on the line, it will count for a win and the value of the prize will be doubled, while getting 2 wild logos and any other on the line will result in a quadrupling of what would be paid for the symbol if no wilds had been present. Players win the jackpot when a full line of the Spectacular logo lands, with 2000 coins being awarded to anyone who is playing with just 1 coin, but if they have 2 coins in play, it’s boosted to 5000x. So if possible, having both activated can be worth it. That’s only if the jackpot is claimed however, and let’s face it, that won’t be happening every day, but it’s certainly worth playing with 2 coins at lower values rather than a single coin at a higher value, just in case that perfect combination is landed. Spectacular by name, but maybe not by nature, this is a pretty standard offer from Microgaming, however as this format is very popular, it’s sure to attract a decent following. Straightforward gameplay makes this a pokie that even beginners can enjoy without needing to know much about how it all works, they simply need to understand how to adjust their bets and see what symbols line up, but that limited maximum bet is the only real issue here and could turn many potential players away.